We who call ourselves the church, I wonder how often we will find that we the rich and prosperous have stolen from the poor man? I wonder how many times we have received the blessing and kept it for ourselves? I wonder how many times when we’ve had the power to love available to us to pour out in encouragement, forgiveness, mercy, accountability, meeting someone else’s needs, etc. but we’ve withheld something for ourselves? I wonder how many times we’ve withheld our prayers, time, and that portion of our income from the church to use for ourselves instead, and in turn how many times the churches have withheld the same from those needy, destitute, aged, sick, and imprisoned so it can be used for the social club atmosphere of a self-serving religious business? And some will read this message and get mad about it, because the conviction comes but they are unwilling to yield to the truth in their hearts that they need to repent. They will say proudly to themselves, I don’t have to repent, I’ve accepted Jesus! And I ask, has He accepted you, friend? Is there oil in your lamp? Or will He say, “Depart from me, you workers of iniquity, I never knew you.” Is He abiding in your life today, or are you abiding in sin? Do you know the sweet, sweet aroma of the fruit of His Spirit, or just the stench of sin, death, disease, worldliness, doubt, guilt, shame and condemnation? ​I didn’t read the Bible and then feel comfortable enough with what it said to choose it as my religion. What sinner could honestly do that? No, my eyes were opened to the Truth and I looked at the Word of God and said, “Wow, my life doesn’t line up at all with that. I really do need Jesus!” Then I repented, confessed, and I am walking yielded to His instruction, with the Word of God as the authority in my life. No, I don’t get to choose what is right and wrong, I’ve submitted myself to a higher authority than my own opinion. So, please forgive me for being a fool that just trusts in God’s Word and seeks to live a life following in my master’s footsteps. No, I’m not perfect. Yes, I have plenty of opportunities each day that humble me and remind me to thank Him for His grace and mercy and to talk with Him and to walk in a different way, close to Him on that narrow path. I realize that many want to add or subtract from it so they can say to themselves, “That’s okay for me to do. That’s not really a sin. Don’t judge me.” And I used to see it that way when it wasn’t about avoiding the things that keep me in an abiding relationship with Him. But for me it’s not just about doing good or doing bad – it’s about whether I really love Him, His way, His will and want to be in His house and close with Him, or whether I’m happier in the world and away from Him. For me, obedience is not an obligation, it’s a response from the grattitude of knowing how much I’ve been forgiven, and it’s something that wraps me up close with Him free from the snare of the enemy that separated me from the One who loves me. My obedience is not works, it is the reasonable service to my King, my Lord. Even though I will only have the ashes of this life to lay at His feet, it isn’t my ashes that matter but my heart. That’s why I say it isn’t a religion, but a relationship. It isn’t a measuring myself that either leads to guilt or pride, but it is a dedication to a living God who loves me and who proves His love daily, even breath to breath – not with just things like prosperity, health, honor in the eyes of men – but with that nourishment others just can’t live up to love, joy, peace, patience, kindness, gentleness, goodness, faithfulness, self control. Yes, these things are learned and imparted to me the more that I remain in His presence, in His will, in His love. I am blessed beyond measure. Do not think me vain or proud, but please envy me for these blessings and receive them for yourself. He says seek, knock, and I will answer – so seek Him and wait for Him diligently until He returns. Going to have me an Arnold Palmer for lunch today. Arnie, I didn’t know you, but I knew about you. 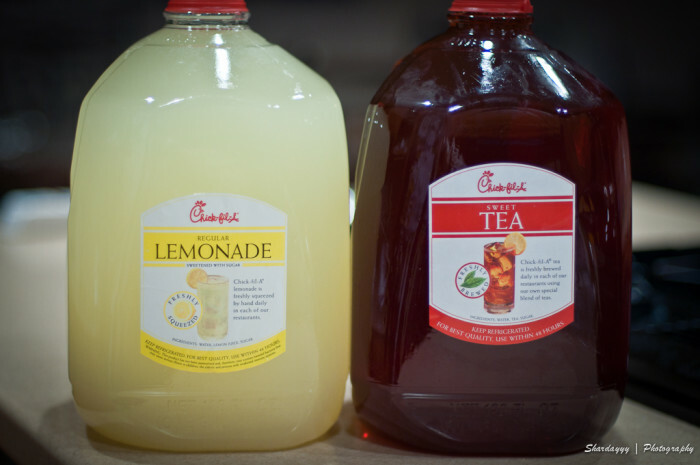 And I love an Arnold Palmer from Chick-fil-A, and I have been drinking them even before I knew the association with your name. And Arnie, you might even wonder why I’m using your name now to share a message on the Internet when I didn’t really know you, when I wasn’t a friend. It’s because I see the parallels to the friends of another man, not the king of golf, but the King of Kings. Thinking about these parallels, I hope first and foremost that you had that friend who is always faithful and true and who never leaves us or forsakes us. And that ship has sailed for you. Your time is up and clearly this message is not for you. I hope that we who still have breath in these lungs know that friend, and that we don’t just know about Him, or just claim Him by name, but that we are friends, close with Him, enjoying His truth, His life, His way – that we are not deceived into not knowing Him, into just being a fan, or into denting Him in our lives even as we claim Him with our lying tongues. Arnie, you have met that last breath, and your body will go back into the ground – dust returning to dust – just like our bodies will one day ourselves if the Lord delays His return. I love an Arnold Palmer to drink. The sourness of the lemonade with the sweetness of the tea. That perfect combination of the right amounts of both is amazing. To me, it’s like the perfect combination of Truth and Love, the perfect combination of receiving the blinding light revealing what was still dark in our hearts, along with the salty tears and blood of mercy that washes the place clean where it has been cut out and cast away by that great sword of the Word of God. And I’m hungry and thirsty for more of that salt and light, for more of those healing waters, for more light shining through and for more darkness being overcome. Come, have a drink with me. Don’t expect it to be so sickening sweet that you can’t bear it for long without finding the sugar has rotted your teeth – and don’t expect it to be so horribly sour that you can’t get it to go down at all. Let’s enjoy that drink made from a measure of both. in order to crawl out together. but don’t be afraid if I ask you to swim alongside me. Do you see my imperfections too? Do you know my struggles? Can I trust you with mine? Can you find it in your heart to love me too? But it isn’t quite the same at all when they are left alone. I know that I’m loud. I know that I’m passionate. I know that I don’t like to be wrong. Not being able to hug or talk to that person you love. I hate the separation that death brings. I hate that it is the wages of sin that leads to death. Yes, I hate that same sinfulness and wickedness and worldliness that I once loved, because it brings death and destruction. I hate that I was too often been a party to sin in my life. I hate that my example and influence for years did not free the captives, did not bring life, did not lift up and encourage myself and others along a different path – a path turned away from sin. I used to have a god that had no problem with me being wrapped up in sin and death, because my god was no god at all, but I was my own master – justifying my own thoughts and opinions and ideas that weren’t Godly or righteous or true. But I serve a new master today, and it is only by the grace of God that my eyes have been opened to not hate the law, but to love God’s instruction – and it isn’t a license to sin or a ladder of works – it’s a new life. I used to SAY that I know that I’m saved, but my life sure didn’t SHOW that I know that I’m saved. I had a type of religious awareness that was empty of any abiding relationship of walking in His will. My idea of being loving like Christ was just to “not judge others” so that I could justify all the sin that I was allowing to be active in my own life. But Jesus didn’t say that we should ignore the speck in someone else’s eye so we could leave the log in our own eye. No, He said REMOVE the log in your own eye so you can then help your brother REMOVE the log in his eye as well. Jesus said, “Repent, for the Kingdom of Heaven is at hand” a statement that many of “those who are of the synagogue of Satan, who claim to be Jews though they are not, but are liars” would say is “judgemental” and “not loving and compassionate and tolerant of alternative opinions”. The Bible tells us that sin separates us from God (Isaiah 59:2), that belief and obedience and life are unified not exclusive from each other (John 3:36). So if we are comfortable remaining in our sin, can we say that we feel any loss, absence, or separation from God? If we never recognized our sin removing us from His presence, if we do not have a hunger or longing that draws us to God and away from the sin that steals, kills, and destroys, can we say that we ever really knew that true love for God, for His will, for the way, for the truth? Can we say that we have yielded and surrendered or lives fully to Christ, not only as “take me as I am” Savior, but also as “lay down your life, pick up your cross, and follow me” Lord? Do not hear this and worry and say to yourself, “but what if I sin” because “if Christ has freed you, you are free indeed”. Confess your sin with a true heart of repentance, with godly sorrow not just worldly sorrow, and “He is faithful to forgive”. But do not make little of sin, do not excuse sin and wickedness that grieves the Holy Spirit and that separates you from the annointing in which you are to flow and the calling in which you are supposed to walk and the good works He has set before you. Otherwise, you might find that you have deceived yourself with religious ideas and the empty philosophies andtraditions of men, and you might find under close examination that you are not in the faith. Do not shrink back from the light of Truth, from the rebuke of those wise men who both demonstrate the love of Christ and the righteousness of a holy life dedicated to God. Be afraid instead of any man who has one and not the other and calls himself a disciple of Christ. For there are many blind guides who offer either the trap of empty religious practices or the trap of justifying worldliness and godlessness by blaspheming the name and purpose of Christ’s abiding presence in His vessels on this earth – and both of those paths will lead many to their deaths. Seek and find that narrow gatec and the narrow path, and set your eyes firmly upon the Hope of Glory, and do NOT look back, do NOT turn back to your old ways of rebellion, do NOT take your hand from the plow, do NOT grow weary in your well doing, but TRUST IN THE LORD – BELIEVE – and do not allow the whispers of doubt or temptation or trial or persecution or oppression sway you from your eternal destination – lest we find ourselves at the end of this race disqualified and deceived. One day, some of you will see this old body of mine pass away and go into the ground. Buy if anyone tells you that I’m dead, just smile. By the grace of God, by my faithfulness to seek a life of obedient following in His footsteps, by my Hope being securely rooted in Christ, and His love pouring out through my life as a living testimony that Jesus Christ is the one truth, one life, one way – I live today and forevermore. Sin, where is your grip? I am free, free indeed! If it’s easy for the enemy to paint us as enemies of one another, is it partially because we have not proven ourselves to be such close friends that the paint on top would be in such contrast to the canvas underneath that it couldn’t hardly be believed? Isn’t it quite easy to simply enhance and exaggerate colors that were already there (that show our prejudices, our mistrust, our fear, and our division), but much harder to cover up one solid, vivid color (of overflowing love) completely with another? Will we continue to get mad at the enemy for pitting us against one another, and mad at the others for believing what is being sold about us – how we are being repainted as enemies? Or will we prove ourselves so strongly to be a friend and a servant and in unity and in love that the lies could hardly be believed? Or will we remain content lying about our hearts and being most content to look at the world as “them” and as “us”, with as much separation between the two as possible? ​I expect in a sinful world of lost people for some to react to opportunities to riot, loot, steal, kill and destroy with those very things. And I expect people who don’t have the power, love, and self control that comes from the Holy Spirit to act like idiots and burn their own communities to the ground. I am not justifying it, but the Bible teaches me to expect natural man to be this way. I expect some people who don’t value and love and serve others, but whose jobs put them in situations where they are afraid of dying (because they have no confidence in God to guide their steps) to sometimes unjustly shoot and kill others out of the fear, anxiety, and stress of an unknown situation that might end their life before they are ready. I expect that people who push the limits of fighting against authority, resisting authority, and causing a menace to society might end up at the wrong end of a deadly escalation of resistance being met with the understandable increasing levels of force necessary to bring a dangerous situation under control. Natural men reacting in the flesh will produce works of the flesh. The wages of sin are death. It leads to destruction. So none of this should come as a big surprise to us. But don’t try to sell me that it is just a black and white thing. Don’t try to sell me that it is just a rich and a poor thing. It is a sin thing. It is a lack of love thing. It is a failure of our people, our community, our nation to turn to God, so we are being divided and conquered just as we should expect to be if we are unwilling to change. If the news shows us that races hate each other, let’s go out there TODAY and prove them wrong, Christian, with an outpouring of love towards that group they say you hate. You say, but they are my enemy, they are acting like terrorists – and I say that Jesus called us to love and pray for our enemies, because He explained that our true enemies are not flesh and blood. If the news shows us that the rich hate and oppress the poor, or that the poor live lazily off of the rich, let’s go out there TODAY and prove them wrong, Christian, with an outpouring of love and support and working as if unto the Lord and giving freely and openhandedly that proves that people are more valuable than money and possessions – because Jesus told us to be satisfied with our needs being met and to sell and give to the poor and needy, for those with less not to envy those with more, and for those with more to be humbled by their blessings and convicted to help others. But as I call out for action, for love, for a demonstration of the very nature of Christ who you say lives and abides within you, Christian, for that fruit that is evidence of a good tree – will it be found? Or just talked about, thought about, philosophized about but never followed? Will the only touch of Christ for so many lives be only to wither the fig tree that has no fruit to offer? Will the door be found shut? I hope and pray that we will humble ourselves, not only in long winded prayers, but in loving demonstration towards one another the good works that He has laid out before us along this narrow path. If your idea of grace prevents you from serving the Lord, if it leaves you enslaved to your sin, if you find your vessel empty and devoid of that promised Holy Spirit, if you find your religion falling short of that new creation and renewing of your mind to be like Christ, either repent and yield today and decide to serve the Lord your God, or clear the way – for the enemy knows that his time is short and that His defeat is already accomplished. And the secrets will be revealed for eternity. Or will you weep at His feet? Or will you see His face? These are the questions that I wonder whether others even wonder about? And if our thoughts are set upon eternity, dear Christian, then how can we miss the opportunity to love today, to testify today, to walk with Him, in His will and purpose today? Is there some greater calling on your life, than to BE Christian? It is Him working in and through us. But is a natural reaction to receiving an amazing gift of grace. Love for conviction and discipline that is a turning away from our rebellion. 1:2 Abraham [“father of a multitude”,father of the faith] fathered Isaac [“to laugh”], then Isaac fathered Jacob [“heel-catcher or supplanter”], then Jacob fathered Judah [“he shall be praised”] and his brothers [brethren]. From the root of Abraham, we see Isaac whose name means to laugh or “he laughs” – it is from the Hebrew root יִצְחָק which is a sporting/mocking type of laughter – one might suppose a laughter of disbelief or pride. There are so many questions that we can ask when we see the name of Abram changed to Abraham, the name of Isaac who was not given a new name, the name of Jacob changed to Israel, and then the twelve brothers who made up the tribes of Israel alluded to by the mention of Judah, who wasn’t the eldest brother, but the fourth child of Jacob and Leah. Why didn’t Isaac get a new name? – My thoughts: It was prophesied to Abraham that he would have a son and his name would be Isaac, so this name was already given to him by God. Whatever name his parents might have had in plan for him was supplanted by the name prophesied to Abraham when his wife Sarah laughed. So Isaac started out with his “new name” day one. Why was Judah mentioned instead of Ruben, the eldest? – The lineage of Jesus Christ was through Judah and Tamar, and Christ was the son of promise. -Reuben’s inappropriate behavior towards Bilhah, led Jacob to give his birthrite away. The excellency of dignity and the excellency of power.